JMD on NBN: Sumantra Bose, "Secular States, Religious Politics, India, Turkey and the Future of Secularism"
Sumantra Bose‘s new book Secular States, Religious Politics: India, Turkey and the Future of Secularism (Cambridge University Press, 2018) is a fascinating comparison of the rise of religious parties in the non-Western world’s two major attempts to establish a post-colonial secular state. The secular experiments in Turkey and India were considered success stories for the longest period of time but that has changed with the rise of President Recep Tayyip Erdogan’s Justice and Development Party in Turkey and Prime Minister Narendra Modi’s Bharatiya Janata Party in India and the capture of state power by political forces with an anti-secular vision of nationhood. In his ground-breaking book, Bose attributes the rise of secularism to the fact that non-Western states like Turkey and India never adopted the Western principle of separation of state and church and instead based their secularism on the principle of state intervention and regulation of the religious sphere. In doing so, Bose distinguishes between the embedding of secularism in Turkey in authoritarianism entrenched in the carving out of the modern Turkish state from the ruins of the Ottoman Empire and the fact that secularism in India is rooted in culture and a democratic form of government. With the anti-secular trend in Turkey and India fitting into a global trend in which cultural and religious identity is gaining traction, Bose’s study constitutes a significant contribution to the study of the future of secularism and the of the complex relationship between religious parties and the secular state. When Saudi General Khalid bin Sultan bin Abdul Aziz went shopping in the late 1980s for Chinese medium-range missiles capable of carrying nuclear, chemical or biological warheads he made no bones about keeping the United States, one of the kingdom’s closest allies, in the dark. it was “my task to negotiate the deal, devise an appropriate deception plan, choose a team of Saudi officers and men and arrange for their training in both Saudi Arabia and China, build and defend operation bases and storage facilities in different parts of the kingdom, arrange for the shipment of the missiles from China and, at every stage, be ready to defend the project against sabotage or any form of attack,” General Bin Sultan, a son of the late Saudi crown prince and defense minister, Sultan bin Abdul Aziz al Saud, and commander of the US-led international alliance that forced Iraq to withdraw from Kuwait in 1991, recounted in his memoire. 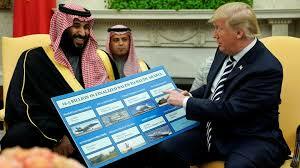 The incident coupled with more recent Saudi statements and the kingdom’s inability to present from the outset a credible and sustainable version of events surrounding the killing of journalist Jamal Khashoggi on the premises of its Istanbul consulate is complicating it’s negotiations with the United States for the acquisition of designs for nuclear power plants, a deal valued at up to US$80 billion depending on how many Saudi Arabia ultimately decides to build. Prospects of a massive deal go to the heart of US President Donald J. Trump’s jobs and deals-focussed America First policy. Yet, growing criticism and distrust of Saudi Arabia in the US Congress and intelligence community as a result of the Khashoggi crisis and the kingdom’s handling of the Yemen war that has sparked the world’s worst humanitarian crisis since World War Two are likely to strengthen efforts to thwart an agreement that honours Saudi insistence on producing its own nuclear fuel, even though it could buy it more cheaply abroad. The Saudi insistence has fuelled concerns that the kingdom may divert their fuel for military purposes. Those kinds of fears coupled with Iran’s ballistic missile program drove world powers to first sanction Iran and then conclude a 2015 international agreement that curbed Iran’s nuclear program. Mr. Trump withdrew from the agreement earlier this year, charging that it did not provide sufficient guarantees that Iran would not be able to develop a nuclear weapon. Democrats in the US Congress have described refusing to sell Saudi Arabia nuclear technology as proper punishment for the killing of Mr. Khashoggi that the kingdom insists was done without the knowledge of Crown Prince Mohammed bin Salman. While the Trump administration has as yet not abandoned long-standing strict US nuclear export safeguards to secure a deal with Saudi Arabia, it has also not unambiguously said that it would uphold them. Like with his rejection of hard-hitting sanctions in the wake of the Khashoggi killing, Mr. Trump is likely to ultimately argue that if the United States does not conclude a nuclear deal with Saudi Arabia, countries like China, Russia and South Korea, that have less strict controls will. The argument amounts to the equivalent of committing a wrong because if one doesn’t, someone else will. 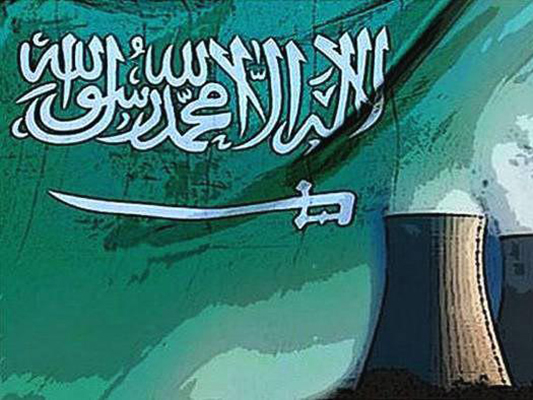 Saudi officials have repeatedly insisted that the kingdom is developing nuclear capabilities for peaceful purposes such as medicine, electricity generation, and desalination of sea water. 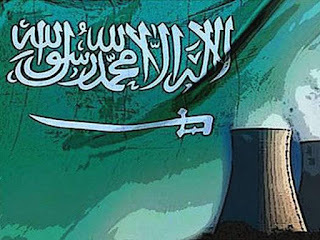 They say that Saudi Arabia is committed to putting its future facilities under the supervision of the International Atomic Energy Agency (IAEA). Yet, with a US$56 billion military budget for 2018, Saudi Arabia is stepping up the development of a domestic military industry. The kingdom aims to source 50% of its military procurement domestically by 2030, up from its current two percent. In putting forward demands for parity with Iran by getting the right to controlled enrichment of uranium and the reprocessing of spent fuel into plutonium, potential building blocks for nuclear weapons, Saudi Arabia was also seen as potentially backing away from a 2009 memorandum of understanding with the United States in which it pledged to acquire nuclear fuel from international markets. Nuclear energy cooperation was one of a host of agreements concluded last year by Saudi Arabia and China during a visit to Beijing by Saudi King Salman. 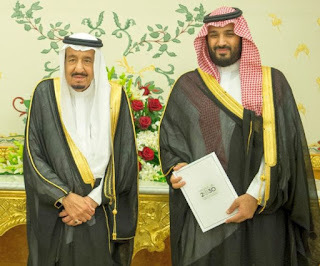 The agreement included a feasibility study for the construction of high-temperature gas-cooled (HTGR) nuclear power plants in the kingdom as well as cooperation in intellectual property and the development of a domestic industrial supply chain for HTGRs built in Saudi Arabia. The HTGR agreement built on an accord signed in 2012 that involved maintenance and development of nuclear power plants and research reactors, as well as the provision of Chinese nuclear fuel. Much like the era of General Bin Sultan, potential Chinese sales to Saudi Arabia of ballistic missiles and cruise missiles remain one of the murkier areas of Sino-Saudi military cooperation. Military experts say that satellite imagery of missile bases in Saudi Arabia in recent years and other open-source circumstantial evidence, including Saudi press coverage of graduation ceremonies at the kingdom’s Strategic Missile Force school in Wadi ad-Dawasir, attest to ongoing transfers. Saudi Arabia in 2014 showcased Chinese-made Dongfeng-3 missiles that have a range of up to 5,000 kilometres. Media reports said the missiles had been purchased in 2007, possibly with US acquiescence. “Saudi Arabia has invested heavily in conventional ballistic and cruise missiles to provide the kingdom a shot of strategic deterrence,” said non-proliferation expert Jeffrey Lewis. Mr. Lewis’ conclusion was confirmed by Anwar Eshqi, a retired Saudi major general and advisor to the Saudi military. “The Saudi military did indeed receive DF-21 missiles from China and the integration of the missiles, including a full maintenance check and upgraded facilities, is complete, “ Mr. Eshqi said referring to the People’s Republic’s East Wind solid-fuel, medium-range ballistic missile. Two attacks in Pakistan, including a brazen assault on the Chinese consulate in Karachi, are likely to complicate prime minister Imran Khan’s efforts to renegotiate China’s massive, controversial Belt and Road investments as well as an International Monetary Fund (IMF) bailout and ensure that Pakistan is shielded from blacklisting by an international anti-money laundering and terrorism finance watchdog. The attack on the consulate by three members of the Balochistan Liberation Army, a militant nationalist group seeking what it terms self-determination for the troubled, resource-rich, sparsely populated Pakistani province that constitutes the heartland of China’s US$45 billion investment and the crown jewel of its infrastructure and energy generation-driven Belt and Road initiative. The attack, together with an unrelated suicide bombing by unidentified militants that killed 26 people and wounded 55 others in a market in the province of Khyber Pakhtunkhwa, comes at an awkward moment for Mr. Khan. With Pakistan teetering on the edge of a financial crisis, Mr. Khan has been seeking financial aid from friendly countries like China, Saudi Arabia and the United Arab Emirates as well as a bailout from the IMF. Responding to widespread criticism of Chinese investment terms that go beyond Baloch grievances, Mr. Khan is seeking to renegotiate the Chinese terms as well as the priorities of what both countries have dubbed the China Pakistan Economic Corridor (CPEC) that will link the crucial Baloch port of Gwadar with China’s troubled north-western province of Xinjiang, the scene of a brutal crackdown on Turkic Muslims. Mr. Khan last month bought some relief by attending Saudi Crown Prince Mohammed bin Salman’s showcase investors conference in Riyadh, dubbed Davos in the Desert, that was being shunned by numerous CEOs of Western financial institutions, tech entrepreneurs and media moguls as well as senior Western government officials because of the killing of Saudi journalist Jamal Khashoggi. In talks with King Salman and the crown prince, Saudi Arabia promised to deposit US$3 billion in Pakistan’s central bank as balance of payments support and to defer up to US$3 billion in payments for oil imports for a year. The kingdom this week deposited US$1 billion in Pakistan’s central bank as Mr. Khan was visiting the UAE. However, Mr. Khan’s visit to Beijing earlier this month was less conclusive. Despite lofty words and the signing of a raft of agreements, Mr. Khan’s visit failed to produce any immediate cash relief with China insisting that more talks were needed. China signalled its irritation at Mr. Khan’s declared intention to pressure China to change the emphasis of CPEC by sending only its transportation minister to receive the prime minister upon his arrival. Amid criticism of CPEC by Baloch activists who charge that the province’s local population has no stake in the project and members of the business community who chafe at China importing materials needed for projects from China rather than purchasing them locally and largely employing Chinese rather than Pakistani nationals, Mr. Khan only elicited vague promises for his demand that the focus of CPEC on issues such as job creation, manufacturing and agriculture be fast forwarded. China’s refusal to immediately bail Pakistan out has forced Mr. Khan to turn to the IMF for help. The IMF, backed by the United States, has set tough conditions for a bailout, including complete disclosure of Chinese financial support. US Secretary of State Mike Pompeo warned in July that any potential IMF bailout should not provide funds to pay off Chinese lenders. US Pakistani relations dived this week with President Donald J. Trump and Mr. Khan trading barbs on Twitter. The attack on the consulate coupled with Saudi Arabia’s financial support is likely to fuel long-standing Chinese concerns that Pakistan has yet to get a grip on political violence in the country. Chinese Foreign Ministry spokesman Geng Shuang said in response to the attack that China had asked Pakistan to step up security. 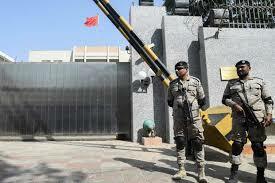 Pakistan has a 15,000-man force dedicated to protecting Chinese nationals and assets. China also fears that Balochistan could become a launching pad for potential US-Saudi efforts to destabilize Iran by stirring unrest among the Islamic republic’s ethnic minorities. The attack together with the Khyber Pakhtunkhwa bombing not only signals a recent spike in political violence in Pakistan but also comes against the backdrop of increased incidents involving Iran’s Kurdish, Iranian Arab and Baloch minorities. Earlier this month, Pakistan said it had rescued five of 12 abducted Iranian border guards, saying efforts to recover the other captives are ongoing. An anti-Iran Sunni Muslim militant organization, Jaish al-Adl or Army of Justice, kidnapped the guards a month ago in the south-eastern Iranian border city of Mirjaveh and took them to the Pakistani side of the porous frontier between the two countries. The attack on the consulate as well as the bombing in Khyber Pakhtunkhwa are likely to increase pressure from the Financial Action Task Force (FATF), an international anti-money laundering and terrorism finance watchdog, and its Asian counterpart, the Asia Pacific Group (APG) to strengthen Pakistani compliance with international best practices. An APG delegation expressed its dissatisfaction with Pakistani compliance in October and said it would report its findings to FATF by the end of this month. FATF put Pakistan on a grey list in February, a prelude to blacklisting if the country fails to clean up its act. Blacklisting could potentially derail Pakistan’s request for IMF assistance. In sum, this week’s attacks put Pakistan between a rock and a hard place. Countering militancy has proven difficult, if not impossible, given the deep-seated links between government, political parties and militants, a web that includes Mr. Khan and many of his associates. To be sure, Prince Mohammed decided to attend the G-20 summit prior to Mr. Trump’s decision to take no further action against Saudi Arabia. 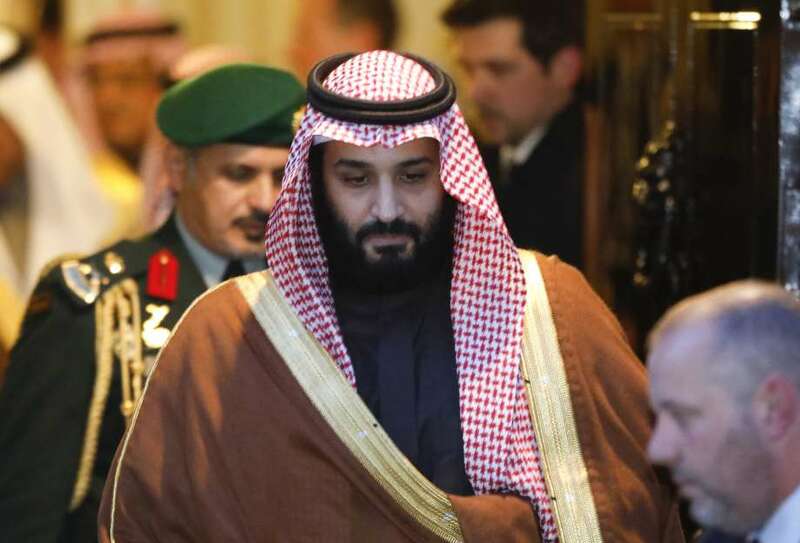 Nonetheless, by attending the crown prince, emboldened by Mr. Trump’s support, “is daring his international critics to put their rhetoric into action and betting that they won't," said Gulf scholar Kristian Ulrichsen. “The real facts are: 1) the Saudis need US weapons and equipment more than we need to sell them, in part because they demonstrate the US security commitment to the kingdom; and 2) it would be very difficult and expensive for the Saudis to make good on their periodic threats to ‘buy foreign’ if they can't get what they want from the United States,” said former US Middle East negotiator Aaron David Miller in an article for CNN co-authored by Richard Sokolsky. Messrs. Miller and Sokolsky went on to question Saudi Arabia’s importance in countering Iran and forging an Israeli-Palestinian peace settlement. “Saudi Arabia has proven to be too weak and incompetent to be a bulwark against Iran; on the contrary, it has been an enabler of Tehran's influence,” the two men said. Saudi sports diplomacy is proving to be a mirror image of the kingdom’s challenged domestic, regional and foreign policies. Overlorded by sports czar Turki al-Sheikh, Saudi sports diplomacy, like the kingdom’s broader policies, has produced at best mixed results, suggesting that financial muscle coupled with varying degrees of coercion does not guarantee success. Mr. Al-Sheikh, a 37-year old brash and often blunt former honorary president of Saudi soccer club Al Taawoun based in Buraidah, a stronghold of religious ultra-conservatism, and a former bodyguard of crown prince Mohammed bin Salman, is together with Saud al-Qahtani among the king-in-waiting’s closest associates. Prince al-Waleed bin Talal, one of the kingdom’s wealthiest investors, acknowledged Mr. Al-Sheikh’s ranking in the Saudi hierarchy when he made a donation of more than a half-million dollars to Saudi soccer club Al Hilal FC weeks after having been released from detention. Prince al-Waleed was one of the more recalcitrant detainees among the scores of members of the ruling family, prominent businessmen and senior officials who were detained a year ago in Riyadh’s Ritz Carlton Hotel as part of Prince Mohammed’s power and asset grab. Mr. Al-Qahtani, who was recently fired as Prince Mohammed’s menacing information czar in connection with the killing of journalist Jamal Khashoggi in the Saudi consulate in Istanbul, was banned this week from travelling outside the kingdom. Mr. Al-Sheikh has not been linked to the Khashoggi murder. Nevertheless, his sports diplomacy, exhibiting some of the brashness that has characterized Prince Mohammed as well as Mr Al-Qahtani’s approach, has largely failed to achieve its goals. If anything, it appears to have contributed to the kingdom’s growing list of setbacks. Those goals included establishing Saudi Arabia as a powerhouse in regional and global soccer governance; countering Qatari sports diplomacy crowned by its hosting of the 2022 World Cup; projecting the kingdom in a more favourable light by hosting international sporting events; becoming a powerhouse in soccer-crazy Egypt, the Arab world’s most populous nation; and using the competition for the 2026 World Cup hosting rights to bully Morocco into supporting the Saudi-United Arab Emirates-led boycott of Qatar. To be sure, with the exception of a cancelled tennis exhibition match in Jeddah between stars Rafa Nadal and Novak Djokovic, most scheduled sporting events, including this season’s opening Formula E race in December and the Italian Supercoppa between Juventus and AC Milan in January, are going ahead as planned despite a six-week old crisis sparked by the killing of Mr. Khashoggi. Yet, if last month’s friendly soccer match in Jeddah between Brazil and Argentina and this month’s World Wrestling Entertainment’s (WWE) Crown Jewel showpiece are anything to go by, major sporting events are doing little to polish the kingdom’s image tarnished not only by the Khashoggi killing but also the war in Yemen that has sparked the world’s worst humanitarian crisis since World War Two. The sports events have so far failed to push Mr. Khashoggi and Yemen out of the headlines of major independent media. Mainstream media coverage of Saudi sports has, moreover, focussed primarily on Saudi sports diplomacy’s struggle to make its mark internationally. One focus been the fact that Gianni Infantino, president of world soccer body FIFA, has run into opposition from the group’s European affiliate, UEFA, to his plan to endorse a US$25 billion plan for a new club tournament funded by the Saudi and UAE-backed Japanese conglomerate SoftBank. If adopted, the plan would enhance Saudi and Emirati influence in global soccer governance to the potential detriment of Qatar, the host of the 2022 World Cup. Saudi Arabia and the UAE spearhead a 17-month old economic and diplomatic boycott of Qatar designed to force it to surrender its right to chart an independent course rather than align its policies with those of its Gulf brothers. Saudi Arabia and the UAE have sought to engineer a situation in which Qatar is either deprived of its hosting rights or forced to share them with other states in the region, a possibility Mr. Infantino has said he was exploring. Mr. Infantino has also said he was looking into implementing an expansion of the World Cup from 32 to 48 teams already in 2022 rather than only in 2026. An expansion of the Qatari World Cup would probably involve including others in the Gulf as hosts of the tournament. Qatari officials have all but ruled out sharing their hosting rights. Another media focus has been alleged Saudi piracy aimed at undermining Qatar-owned BeIN Corp, the world’s biggest sports rights holder, including the rights to broadcast last summer’s Russia World Cup in the Arab world. Mr. Al-Qahtani reportedly played a key role in the sudden emergence of BeoutQ, a bootleg operation beamed from Riyadh-based Arabsat that ripped live events from BeIN’s feed and broadcast the games without paying for rights. The Saudi government has denied any relationship to the pirate network. The piracy has sparked international lawsuits, including international arbitration in which BeIN is seeking US1 billion in damages from Saudi Arabia. The company has also filed a case with the World Trade Organization. FIFA has said it has taken steps to prepare for legal action in Saudi Arabia and is working alongside other sports rights owners that have been affected to protect their interests. Mr. Al-Sheikh’s effort to create with funds widely believed to have been provided by Prince Mohammed an international Saudi sports portfolio that would project the kingdom as a regional power broker collapsed with fans, players and club executives in Egypt furious at the Saudi officials buying influence and using it to benefit Saudi rather than Egyptian clubs. “No one, no one at all — with all due respect to Turki or no Turki … will be allowed to interfere in the club’s affairs,” said Mahmoud el-Khatib, chairman of Egyptian club Al Ahli SC, one of the Middle East’s most popular clubs with an estimated 50 million fans. Mr. Al-Sheikh had unsuccessfully tried to use his recently acquired honorary chairmanship of Al Ahli to take control of the club. Al Ahli’s rejection of his power grab persuaded Mr. Al-Sheikh to resign in May and instead bankroll Al Ahli rival Pyramid FC. He invested US$33 million to acquire three top Brazilian players and launch a sports channel dedicated to the team. The club’s fans, like their Al Ahli counterparts, nonetheless, denounced Mr. Al-Sheikh and the kingdom and insulted the Saudi official’s mother in crass terms during a match in September. Mr. Al-Sheikh decided to abandon his Egyptian adventure after President Abdel Fattah el-Sisi ignored his request to intervene. “Strange attacks from everywhere, and a new story every day. Why the headache?” Mr Al-Sheikh said on Facebook. Mr. Al-Sheikh’s attempt to form a regional powerbase by creating a breakaway group of South Asian and Middle Eastern soccer federations beyond the confines of FIFA and the Asian Football Confederation (AFC) collapsed five months after the formation of the South-West Asian Football Federation (SWAFF) when seven South Asian nations pulled out with immediate effect. The collapse of SWAFF and Mr. Al-Sheikh’s withdrawal from Egypt were preceded by his backing of the US-Canadian-Mexican bid for the 2026 World Cup against Morocco after he failed to bully the North Africans into supporting the boycott of Qatar. That was Mr. Al-Sheikh’s position six months ago. Today, men like Prince Mohammed and Messrs. Al-Sheikh and Al-Qahtani are seething. US President Donald J. Trump is proving to be an unreliable ally. Not only is he pressuring the kingdom to come up with a credible explanation for Mr. Khashoggis’ killing, Mr. Trump is also seemingly backtracking on his promise to bring Iran to its knees by imposing crippling economic sanctions. Saudi distrust is fuelled by the fact that Mr. Trump first asked the kingdom to raise oil production to compensate for lower crude exports from Iran and then without informing it made a 180-degree turn by offering buyers generous waivers that keep Iranian crude in the market instead of drive exports from Riyadh's arch-rival down to zero. Seemingly cut from the same cloth as Prince Mohammed, Mr. Al-Sheikh, drew his pro-American definition of Saudi Arabia First from the crown prince’s focus on the United States. Prince Mohammed, Mr. Al-Sheikh and other senior Saudi officials may be considering whether putting the kingdom’s eggs primarily in one basket remains the best strategy. Whatever the case, Mr. Al-Sheikh’s sweep through regional and global sports has left Saudi leaders with little to leverage in the kingdom’s bid to pick up the pieces and improve its image tarnished first and foremost by Mr. Khashoggi’s killing but also by the trail the sports czar has left behind. Saudi Arabia is bracing itself for a potentially more strained relationship with the United States in the wake of Democrats gaining control of the House of Representatives in this week’s mid-term elections and mounting Turkish efforts to corner the kingdom in the Khashoggi crisis. To counter possible US pressure, the kingdom is exploring opportunities to diversify its arms suppliers and build a domestic defense industry. It is also rallying the wagons at home with financial handouts and new development projects in a bid to bolster domestic support for crown prince Mohammed bin Salman. The Democrats’ election victory has strengthened Saudi concerns that the Trump administration may pressure the kingdom to back down on key issues like the Yemen war that has sparked the world’s worst humanitarian crisis since World War Two and the 17-month old Saudi-United Arab Emirates-led economic and diplomatic boycott of Qatar. US officials have argued that Saudi policies complicate their efforts to isolate and economically cripple Iran. The officials assert that the boycott of Qatar and the fallout of the October 2 killing of journalist Jamal Khashoggi in the Saudi consulate in Istanbul constitute obstacles to the creation of a Sunni Muslim alliance against the Islamic republic, dubbed an Arab NATO, as well as the achievement of other US goals in the Middle East, including countering political violence and ensuring the free flow of oil. Going a step further, senior Israelis say they have given up on the notion of a Sunni Muslim alliance whose interests would be aligned with those of the Jewish state and see their budding relations with Gulf states increasingly in transactional terms. The Trump administration signalled its concerns even before the killing of Mr. Khashoggi. “Our regional partners are increasingly competing and, in the case of the Qatar rift, entering into outright competition to the detriment of American interests and to the benefit of Iran, Russia and China,” National Security Adviser John Bolton wrote to Secretary of State Mike Pompeo and Defense Secretary Jim Mattis in a letter late summer, according to Reuters. With the House expected to be tougher on arms sales to the kingdom and possibly go as far as imposing an arms embargo because of the humanitarian crisis in Yemen caused by Saudi and UAE military operations, Saudi Arabia has wasted no time in casting around for alternative weapons suppliers. In apparent recognition that the Saudi military, reliant on US and European arms acquisitions, would find it difficult to quickly shift to Russian or Chinese systems, Saudi Arabia appears for now to be focussing on alternative Western suppliers. 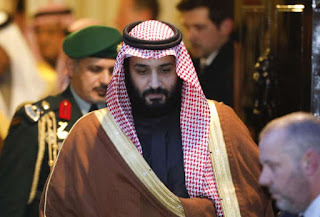 That could prove to be risky with anti-Saudi sentiment because of the Yemen war also running high in European parliaments and countries like Spain and Germany either teetering on the brink of sanctions or having toyed with restrictions on weapons sales to the kingdom. Saudi Arabia, nonetheless, has in recent days contracted Spanish shipbuilder Navantia to jointly build five corvettes for the Saudi navy and offered South African state-owned defense group Denel $1 billion to help the kingdom build a domestic defense industry. The partnership with Denel would involve Saudi Arabia taking a minority stake in German defense contractor Rheinmetall, which designs armoured fighting vehicles and howitzers. With sale of the US-made precision-guided munitions bogged down in Congress, Spain has stepped in to address Saudi Arabia’s immediate need. The question is however whether Spain can fully meet Saudi demand. A US refusal already before the Gulf crisis and the Khashoggi incident to share with Saudi Arabia its most advanced drone technology, paved the way for Chinese agreement to open its first overseas defense production facility in the kingdom. State-owned China Aerospace Science and Technology Corporation (CASC) will manufacture its CH-4 Caihong, or Rainbow drone, as well as associated equipment in Saudi Arabia. The CH-4 is comparable to the US armed MQ-9 Reaper drone. Saudi Arabia also fears that Democratic control of the House could strengthen opposition to a nuclear energy agreement with the kingdom. Five Republican senators called on President Donald J. Trump days before the mid-term election to suspend talks with Saudi Arabia. Development of a defense industry would over time serve Prince Mohammed’s efforts to diversify the Saudi economy and create jobs. On the other hand, the government’s most recent decision to restore annual bonuses and allowances for civil servants and military personnel without linking them to performance constitutes an attempt to curry public favour that runs contrary to Prince Mohammed’s intention to streamline the bureaucracy and stimulate competition. Bonuses were cut in 2016 as part of austerity measures. They were restored last year and linked in May to job performance. In a further populist move, King Salman also pardoned prisoners serving time on financial charges and promised to pay the debts up to US$267,000 of each one of them. King Salman’s moves appear designed to lessen Saudi dependence on US arms sales and project a united front against any attempt to implicate Prince Mohammed in the death of Mr. Khashoggi. The moves come as Turkish President Recep Tayyip Erdogan insists that the order to kill the journalist came “from the highest levels of the Saudi government” and the Trump administration demands Saudi action against the perpetrators and those responsible for the murder. Failure to be seen to be taking credible action may not undermine King Salman’s rallying of the wagons at home but will do little to weaken calls in Washington as well as European capitals for tougher action in a bid to force Saudi Arabia to come clean on the Khashoggi case and adopt a more conciliatory approach towards ending the Yemen war and resolving the Gulf crisis. A global rise of nationalist and populist tendencies has not only given anti-migrant, Islamophobic, anti-Semitic and racist tendencies a new lease on life, but opened the door to alliances between groups that once would have had nothing to do with one another. Developments in Israel, Indonesia and Germany suggest renewed nationalism and populism is in some cases redefining how states perceive concepts of national interest and purpose and how religious and ethnic communities seek to shield themselves against discrimination, persecution and/or extremism. The redefinition was no more evident than when Israel, founded as a safe haven for Jews irrespective of creed, sect or political belief, sided against its own ambassador with authoritarian Hungarian President Victor Orban, a proponent of Christianity rather than multi-culturalism as the glue of European society, in denouncing billionaire left-wing philanthropist George Soros, a survivor of the Holocaust. In doing so, Israel, founded on the belief that Jews needed a state to shield themselves against discrimination and persecution rooted in anti-Semitic prejudice and racism that has been endemic in Christian culture, sided not only with a Christian nationalist leader in Hungary but with a global right-wing trend that sees Mr. Soros as the mastermind of a globalist movement, determined to subvert the established order and dilute the white, Christian nature of societies through immigration. Israel’s acknowledgement of the redefinition of its raison d’etre came in response to a Facebook posting by Yossi Amrani, the Jewish state’s representative in Hungary. 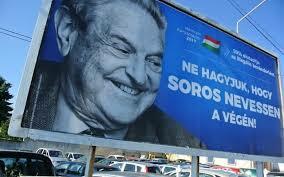 Responding to anti-immigration billboards depicting a smiling Mr. Soros with the slogan, ‘Let's not let Soros have the last laugh,’ Mr. Amrani, backed by Hungarian Jewish leaders, warned that they evoked "sad memories, but also sow hatred and fear." Israel’s foreign ministry, days before a visit to Hungary by prime minister Benyamin Netanyahu, rather than taking a firm stand on rising anti-Semitism, effectively defined the Jewish state’s interest as joining Mr. Orban in denouncing a Jew. As a result, Israel, despite seeing itself as the fulfilment of the Biblical prophecies of the Ingathering of the Exiles and the protector of Jewish rights, opted for denouncing a Jew together with a leader whose policies prompted the European parliament to pursue unprecedented disciplinary action against Hungary over alleged breaches of the European Union's core values, including minority rights. “In no way was the (ambassador’s) statement meant to delegitimize criticism of George Soros, who continuously undermines Israel’s democratically elected governments by funding organizations that defame the Jewish state and seek to deny it the right to defend itself,” the ministry said. The implicit message, like Israel’s decision to bar entry to its Jewish critics despite its law of return that grants anyone who is Jewish a right to citizenship, was that Israel rather than being the potential home of all Jews was a home only to those who support the government’s policies. Mr. Netanyahu’s alignment of Israel with right-wing nationalist and populist forces like his support for ultra-orthodox Jewish groups that deny equal rights for less stringent religious trends in Judaism on issues such as marriage, divorce, conversion and prayer at Jerusalem’s Western Wall, are likely to drive a wedge between the Jewish state and world Jewry, particularly in the United States. The wedge, that puts Israel at odds with the Jewish Diaspora, could be deepened by this week’s Democratic Party success in regaining a majority in the US House of Representatives. Jews historically tend to vote Democratic in the US, a stark contrast with Mr. Netanyahu’s growing alliance with right-wing evangelists who support Israel because they believe the Messiah will only return to a Holy Land controlled by Jews. Many evangelists, however, also believe that Jews will not be saved on the Day of Judgement without first converting to Christianity. Israel’s divisive approach to World Jewry is not without its supporters in the Jewish Diaspora. Anti-Muslim and anti-migration sentiments have prompted some Jews to form their own group within Germany’s far-right Alternative for Germany (AfD) political party. The notion that bigotry and prejudice are the best defense against rising anti-Semitism has meant that AfD Jews have little compunction about joining a party whose members favour abandoning Germany’s culture of remembrance and atonement for its Nazi past. To be fair, the issue of rising prejudice and bigotry is not the exclusive perch of right-wing nationalist and populists. Britain’s Labour Party, traditionally a home for Jewish voters and activists, has been plagued by charges of anti-Semitism and reluctance to put its own house in order. Moreover, the emergence of strange bedfellows in a world in which ideological affinity replaces defense of a community’s minority rights is not uniquely Israeli or Jewish. Nahdlatul Ulama, the world’s largest Islamic movements with some 94 million members in Indonesia, in a bid to reform Islam and counter all political expressions of the faith, risks being tainted by its potential tactical association with Islamophobes and Christian fundamentalists who would project their alliance as Muslim justification of their perception of the evils of Islam. Nahdlatul Ulama is not alone in the Muslim world’s opportunistic engagement with the Christian right. Saudi rulers, who long aligned themselves with a supremacist, intolerant interpretation of Islam that viewed Christians as swine and Jews as apes have discovered that they share with evangelists and fundamentalist Christians, a significant voting bloc in the United States and part of President Donald J. Trump’s support base, conservative family values as well as political interests. In a first, Saudi crown prince Mohammed bin Salman, last week met with a delegation of US evangelists that included Reverend Johnnie Moore, Israel-based evangelical political strategist-turned-novelist Joel Rosenberg, former congresswoman Michele Bachmann; and prominent religious broadcasters. The jury is out on whether the fallout of the rise of nationalism, populism and extremism heralds a new world in which bigotry and prejudice are legitimized as a defense strategy against discrimination, racism and persecution and an anti-dote to radicalism – a world that would likely prove to be far more divided and polarized and likely increasingly unsafe for minorities on the receiving end.